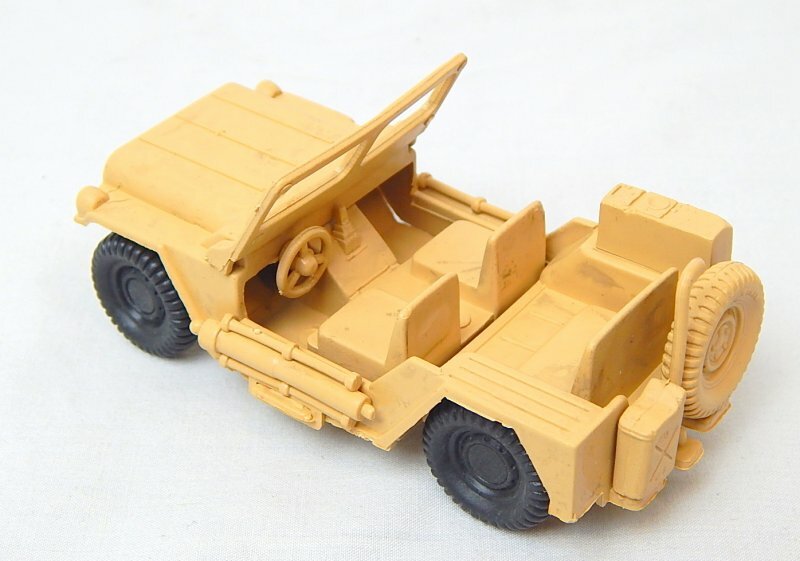 World War 2 Desert Willys Style Plastic Army Jeep. Approx 3 1/2" long, 1 3/4" wide, and 1 3/4" tall. 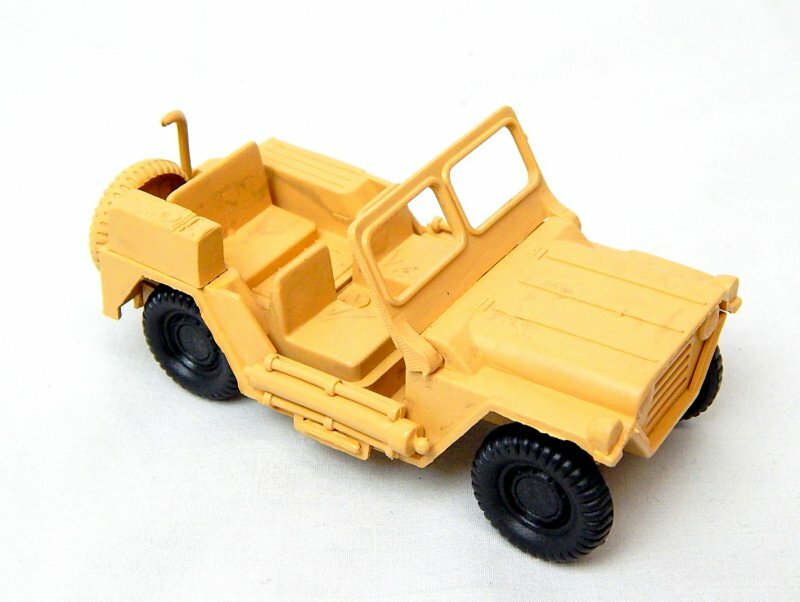 Different shades possible, windshield drops down, with free moving wheels. 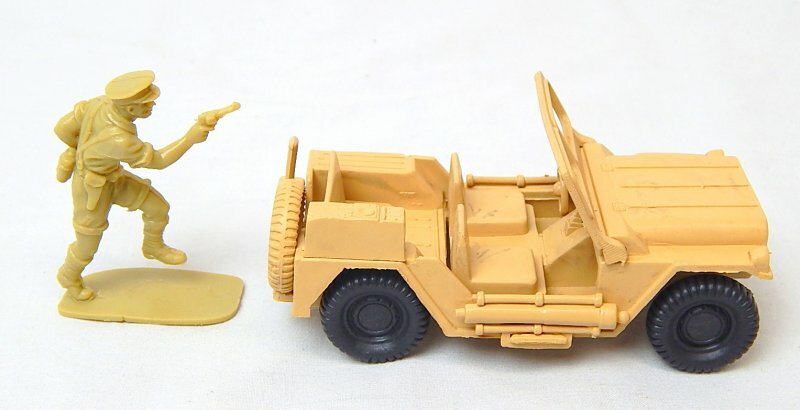 1/32 54mm Soldier for scale only and not included...nicely detailed Jeep!